Destination Waterloo. 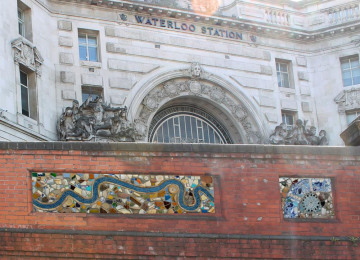 We will use the existing 300 frames in Waterloo station's infra-structure to add colour, character and detail in a must-see permanent public art display. 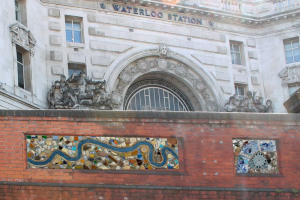 We will engage over 1000 local people to make Waterloo station a place to see, with opulent and sumptuous art installations in mosaic around the whole station. Some of these will be colourful abstract designs. 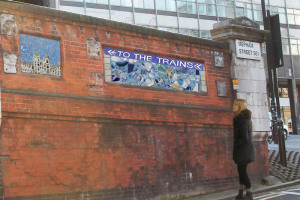 Others will link the station and its neighbourhood to its history. All of them will attract the eye and become a permanent 24/7 landmark art work that sets the future free. Mosaic is a metaphor for London: All the peoples, tribes, clans, colours, creeds, faiths and freedoms coming together to make a brilliant whole. In addition we will secure 5 permanent jobs for local people, work with 200 young people in trouble with the law, engage over 1000 volunteers and make Waterloo station look dazzling. 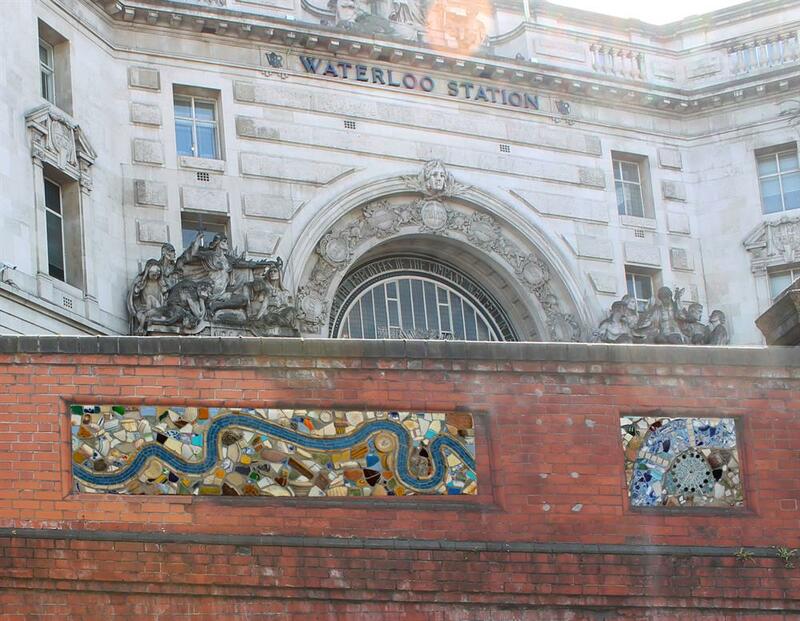 We want Waterloo to become a destination which people enjoy visiting, with a visual fragrance that displays local civic pride and reaches out to the travelling public who pass through Waterloo. It will become a must see space-place. Waterloo is Britain's busiest train station - a great connector of people, towns and cities – part of the backbone of our country. It joins us together and re-unites families, customers and traders. Network Rail delivers us safely to the doors we want to reach and open. At Waterloo station you see the ebb and flow of our culture in action. People and goods are linked and created. We want to make the experience of arrival and departure better. Currently the station is going through an Improvement Plan and we want local people to contribute in a meaningful and dynamic way. 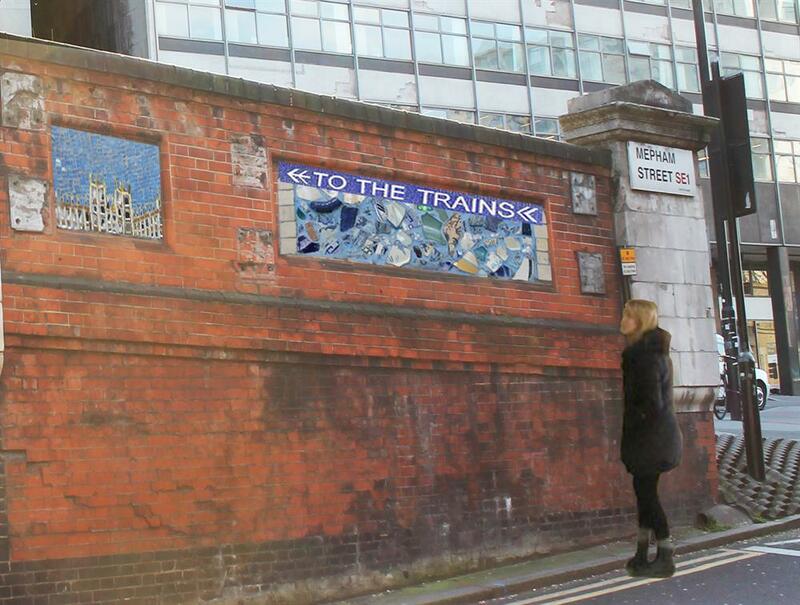 Destination Waterloo will change the way we view public space and revive our interest in the lost art of mosaic. Engage local young people in trouble with the law - thinking about how they can leave a positive mark on their environment and take part in re-imagining the city. We want to break down barriers about how cities work and to build civic pride with people who may feel marginalised. An understanding of who is behind city planning and building is particularly important for people who are getting into trouble with the law, as well as those who come from poor families and families in which English is a second language. These teens often attend schools that are under-resourced, with no government or economics classes and few opportunities to interface with public officials or participate in civic life. As adults, they are less likely to vote, call elected officials, or engage in collective activism. This has real consequences. We have provided a genuine alternative over the past 14 years for local young people and this will be another great opportunity for them. Waterloo Station is the UK's busiest train station with more than 50,000 people passing through every day. It is the gateway to the Southbank cultural quarter. The station is undergoing an Improvement Plan and we want to engage local people in bringing visual frangrance to this hub. 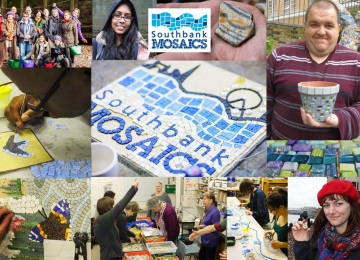 Southbank Mosaics is a not for profit social enterprise bringing together world class mosaic artists with members of the general public. 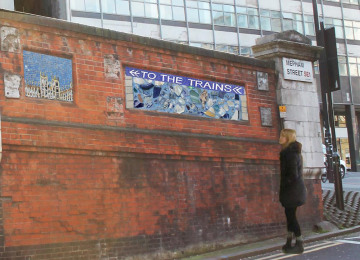 We run an “Open Studio”, where artists, volunteers, school students and active citizens are trained in mosaic design and then help us to make public realm art works. We have over 300 installations in central London: Westminster, Camden, Lambeth and Southwark, with most of our work being in the Southbank area. You can download a Southbank Mosaics walk from our website. You can make something stunning that lasts for hundreds of years and will delight future generations! 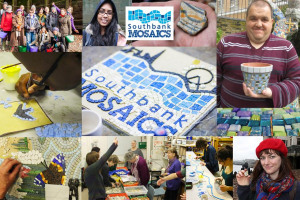 Project Delivery Manager: Southbank Mosaics CIC The Project Delivery Manager takes legal responsibility for receiving and spending the funds raised and ensuring the project is delivered.